Harms beneficials insects as well as targeted insect pests. Important to take this into account when considering when and whether to use this product. Beneficial insects may be controlling pests in the field (other than the targeted pest). 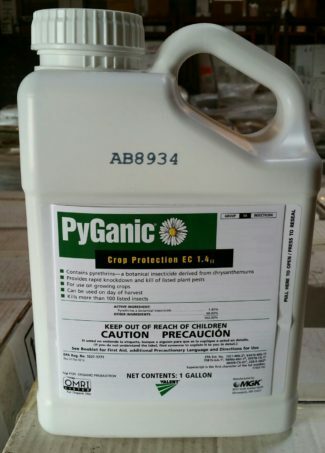 Very Important – Spray solution must be adjusted to pH of near 6 (or below) for maximum effectiveness of product. Constant BUpH-er and Mixwell are OMRI labelled products available for this purpose.